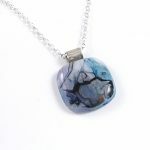 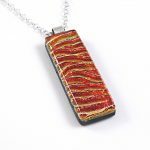 This unique fused glass pendant adds atmosphere to any oufit, fused glass jewellery is beautiful anywhere and is as unique as you are. 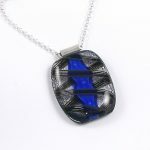 This unique fused glass pendant adds atmosphere to any oufit, fused glass jewellery is beautiful anywhere and is as unique as you are. 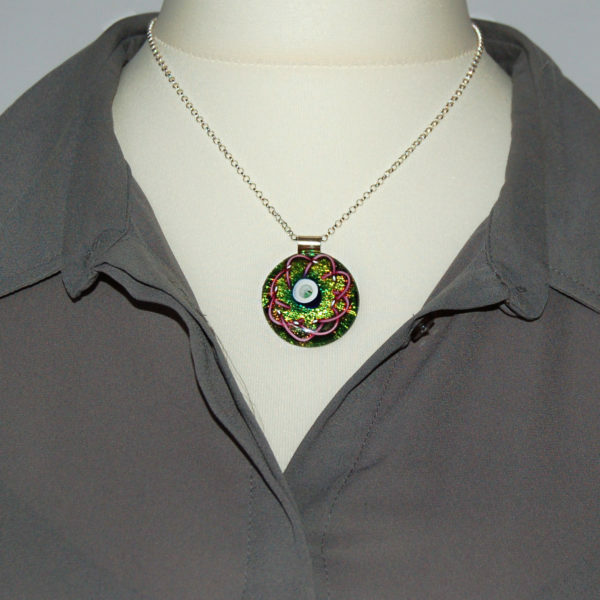 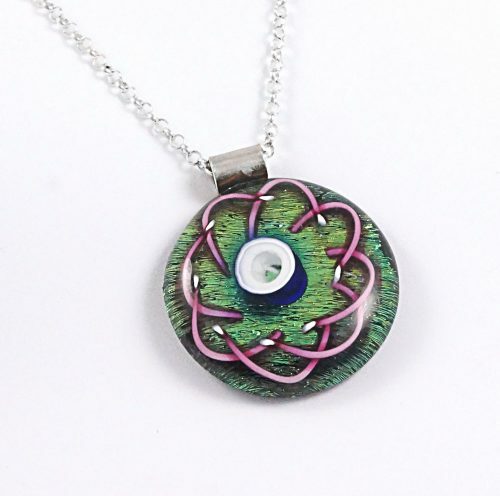 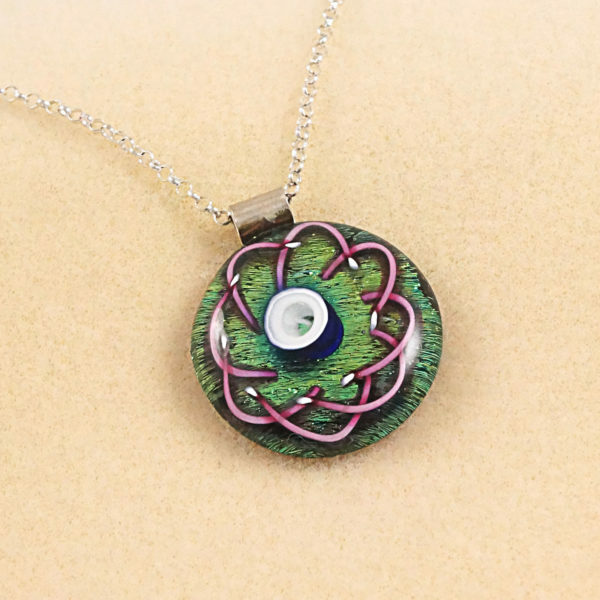 This particular womans necklace features a white & pink arrangement over a green dichroic background, expertly crafted using dichroic glass to be sure to draw admiring looks. 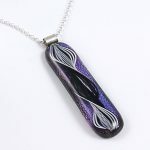 This unique glass pendant measures 1 2/8 x 1 5/8 inches (3.25 x 4 cm) including the bail.